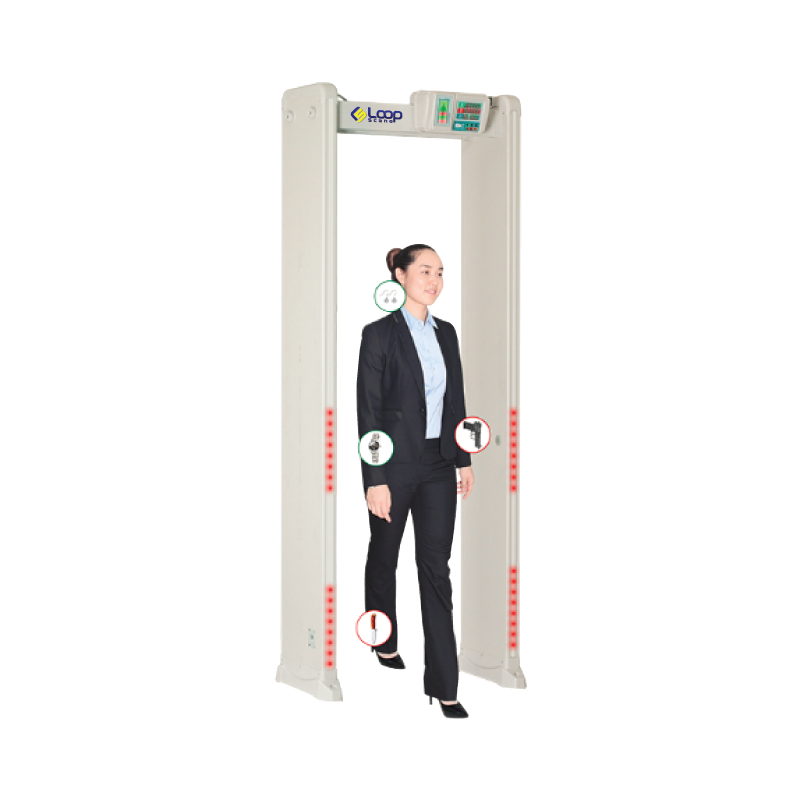 Loop Techno Systems offers Loop Scano-900 effective Walk-Through Metal Detector. It is particularly useful in outdoor events where security is of utmost importance but connections to electricity may be temperamental. The Loop Scano 900 walk-through Metal detector is not only a necessary piece of security equipment, it boasts the latest in security technological advances and user-friendliness. For matters pertaining to logistics, this walk-through metal detector weighs in at a mere 52kgs (gross weight.) It is thus easy to move around, whether for offloading/loading purposes or shifting within a perimeter to secure other areas. 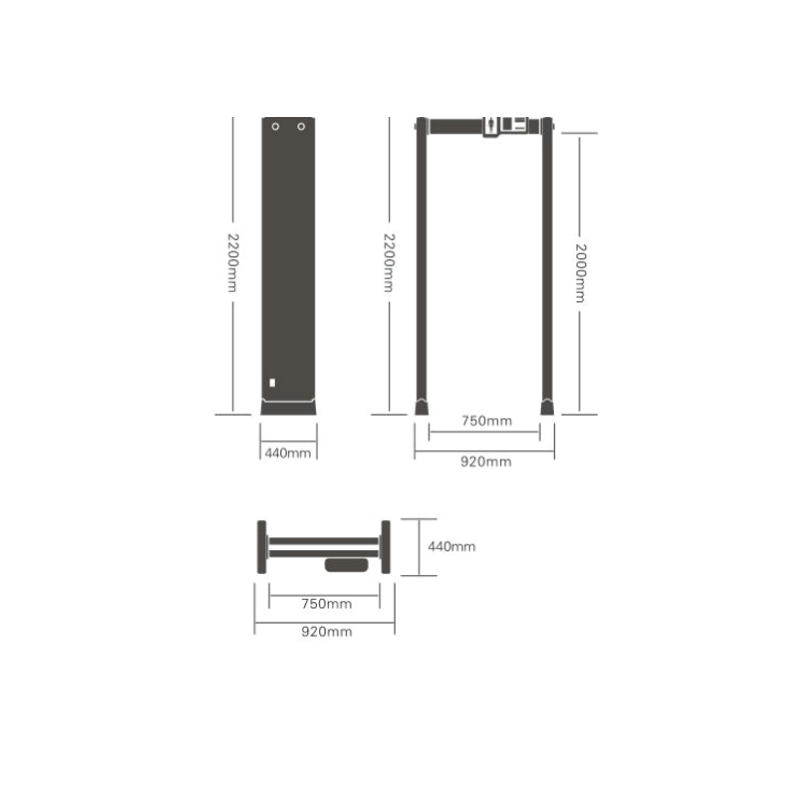 Walk-through security doors have become common in many institutions worldwide nowadays. Schools, banks and social events all need them for security purposes. The Loop Scano 900 is an example of such systems that work well with huge crowds. This system can process 60 people in one minute. That makes it ideal for social gatherings and huge events like concerts or delegations where personnel needs to move to and fro as efficiently as possible. The features and specifications match industry standards. These options are used to adjust what the systems will pick up, as far as metallic items and to what extent or how loud/high pitched the alerts will be. For the tones and alerts, there is an option to change the modes. Depending on the item detected, the alarm may be a lower pitched tone while a gun, for example, may prompt the system to produce a louder sound, e.g. a siren. As far as security measures go, a dependable and dedicated system needs to work in real time, with the most up-to date software. This walk-through metal detector has remote upgrades enabled. This means the user can upgrade their software, change settings and upload information in real time but more specifically, from another location i.e. away from the scanner itself. It also has an EVEN detection system, which ensures that all areas within its workable radius are covered. In line with EVEN detection is a surveillance system that has no blind spots. This means if an individual was to walk slightly further from the walk-through area, for example outside it-albeit next to it, it would still detect what it was configured to. There are also options allowing the user to customize detection zones. For the Loop Scano 900, one can configure it to 6, 12 or 18 zones. It also has up to 50 working bands. These frequencies are standard on the Loop Scano 900. The options of varying frequencies, working together with a no-blind spots configuration, plus options to change safety levels between 1-20, makes this system a must-have for anyone with major security concerns. The technical aspects of this system make it extremely worthwhile. It has multi partition options, to detect larger objects while notifying the security officials through different, adjustable modes for alerts. These vary in loudness therefore making it easier to know when danger is imminent. The levels for security can then be adjusted from 1-400 for sensitivity. Weather conditions will not hinder its performance either. The Loop Scano 900 has a working range, temperature wise, of between -20 degrees Celsius to 65 degrees Celsius.